Is walking enough exercise? These are the benefits of walking for fitness. Is walking actually enough exercise? We asked four experts to find out. When I tell people walking is my main source of exercise, I often get a weird look in response. After all, in a world filled with thousands of unique fitness classes and a gym on every street corner, simply walking isn’t exactly the most exciting fitness option on the market. But regardless, it works for me. And there’s loads of benefits of walking too. It’s easy, you don’t need equipment, it’s enjoyable and best of all, it’s free. But is walking actually enough exercise? And can you maintain a healthy lifestyle by just reaching your daily step count? We posed this question to a number of experts in the health and fitness field. This is what they told us. According to the Heart Foundation, walking for an average of 30 minutes a day can lower the risk of heart disease, diabetes and stoke by 30 to 40 per cent. Evidence also suggests that the benefits of walking can even extend to the brain by improving memory skills and learning and by reducing the risks of both dementia and Alzheimer’s disease. Heart Foundation National Walking Manager Michelle Wilson is a strong advocate for walking. 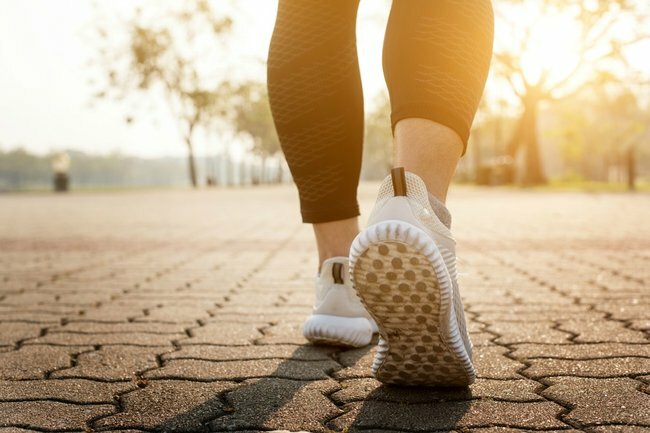 “With walking, great gains can be made from small steps, and as people build up their pace and level of activity, they can get all the benefits of moderate exercise with a low risk of injury,” Ms Wilson said. Walking as a form of exercise provides a number of benefits. Image: Getty. Fitness and health expert Ricardo Riskalla says walking is the number one exercise that everyone should be doing. "The number one benefit is that it is a cardiovascular exercise that is free," Riskalla told Mamamia. "It stimulates your vascular and lymphatic systems and walking is also an antidote for stress, and that is our biggest enemy," he added. "The beauty of walking is that anyone at any age can do it and you can also combine it with a social life by inviting friends or family." Sally Symonds is also an advocate for the health benefits of walking. Symonds, a leading health and fitness expert, says walking is one of the best forms of exercise there is. "It&apos;s not time consuming or expensive, you don&apos;t need any extra equipment or anything. You can do it with anyone, anywhere, any time," Symonds told Mamamia. Steve Willis and Michelle Bridges have a very healthy household. So how do they get their kids up and about? Holly Wainwright and Andrew Daddo speak to The Commando on This Glorious Mess. Post continues below. "Apart from the weight loss benefits, walking also gives you &apos;me&apos; time," she continued. "Thinking time. Time to clear your head. Time for mental health. Walking gives you time out. And we all need a little bit of time out every now and again." Former Bachelor star and fitness powerhouse Sam Wood also stands behind the benefits of walking as a form of exercise. But according to Wood, it&apos;s not just long walks that carry benefits. "What some people think is that you have to do one block of 40 minutes [of walking], but you can get the exact same benefits if you do eight five-minute walks throughout the day," the 28 by Sam Wood creator told Mamamia. "If you put all those little walks together, it can add up to big results." Although it&apos;s clear walking comes with loads of benefits, there&apos;s still the age-old question that needs to be answered. Is walking enough exercise? Or is walking alone not enough to keep you fit? Sam Wood shares his exercise tips and tricks for the office. Post continues below. Sam Wood says it&apos;s a question that can be difficult to answer. "It&apos;s not a simple yes or no," Wood explained. "Yes, as a starting place, it&apos;s [walking] a wonderful place to start but most people find with the results that they quite quickly plateau as once they build up a little bank of walks, they need to progress to something more," he said. "It&apos;s a wonderful starting point. And then one you start doing other things, it&apos;s a wonderful addition." Wood suggested mixing up walking with intervals, like jogging or resistance exercises, to maintain the effectiveness of walking as a form of exercise. "You just want to do something that gets you out of your comfort zone, even for a small amount of time, and then use walking as your recovery," he explained. The best part about walking is you can do it just about anywhere. Image: Getty. Holistic health expert and owner of Fit Fantastic Ali Cavill believes walking is absolutely sufficient exercise. 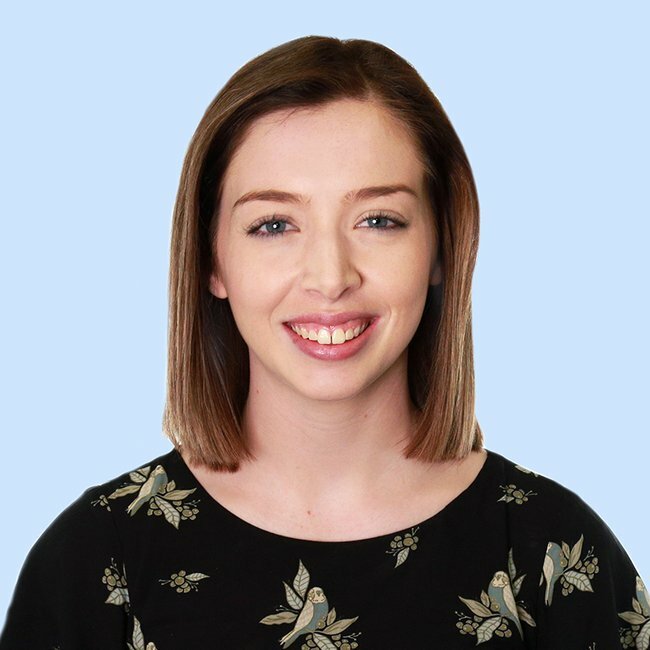 "Walking requires about three times your resting metabolic rate so it can absolutely be sufficient exercise however it needs to be at least at a moderate intensity, which means an intensity where you&apos;re able to notice your breathing but can carry on a conversation without noticeable pauses between words," Ali explained. "The walk should be at a brisk pace, using the whole body by swinging the arms to so as to elevate the heart rate and intensity can be increased by introducing hills, choosing to take the stairs, walking on undulating terrain, or even carrying a comfortable backpack," she told Mamamia. According to Ali, 20 to 30 minutes of walking three to five times a week is the ideal amount to start seeing health benefits. 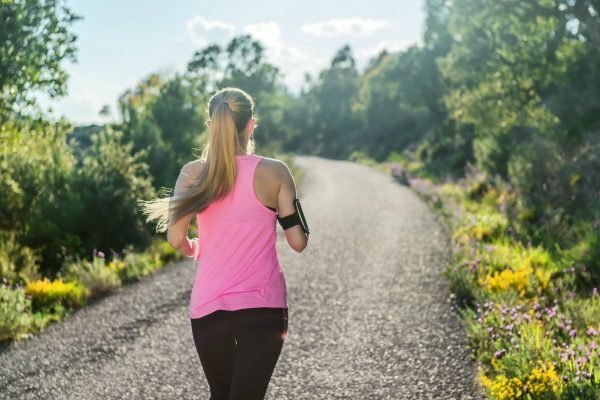 "10,000 to 15,000 steps per day can be effective in achieving noticeable benefits including weight loss, lower body mass index and increased strength," Ali said. "As a little as 15 minutes walking per day can be enough to achieve a stronger and healthier body and mind." Parkrun, partnering with the Heart Foundation is a campaign to get more Australians working for heart health. In Australia, 40,000 people participate weekly at 340 national locations. You can register your interest in Parkrun right here.